Chop fresh cloves before storing in the freezer. Once peeled and chopped, garlic requires proper storage to prevent mold growth and to keep the garlic safe for consumption. 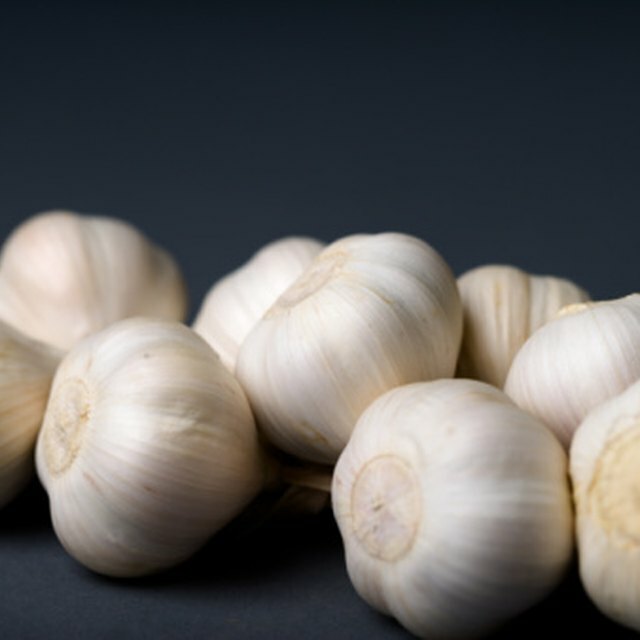 Because garlic is a low-acid vegetable, certain conditions such as moisture and exposure to room temperatures, make garlic more prone to bacterial growth, which can lead to illness from food poisoning. Chop the garlic so it's recipe-ready and store it in cold conditions until you need to use it. Set each garlic clove individually on a clean, dry cutting board. Place the flat side of a knife over the clove and press down with your hand on the blade to open the clove. Pick off the paper skin from the clove. Cut off the woody end of the clove. Cut the clove into minced pieces. Chop the clove repeatedly until it's chopped as finely as possible. Store the chopped garlic in a refrigerator if using within a few days. For longer storage, place the chopped garlic in a plastic freezer bag. Squeeze any air from the bag before sealing it closed. 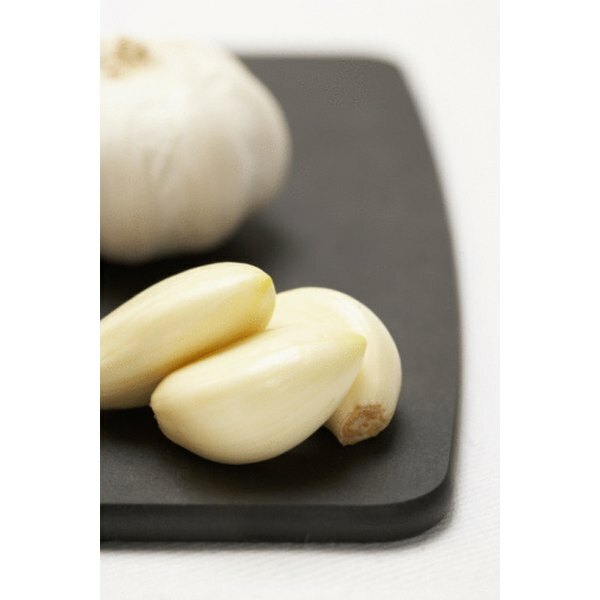 To use frozen garlic, break off the chopped garlic as it's needed. As an alternative to chopping, dry whole cloves in an oven or store whole cloves in wine, vinegar or oil.